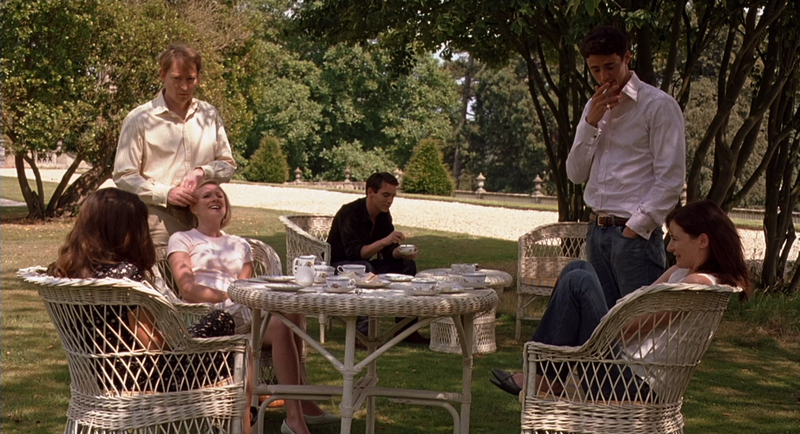 Woody Allen's Match Point is not available on blu-ray, at least not here in the United States. And you're no better off in the UK or Canada. So if we want this in HD, and it is one of Allen's more popular, highly received modern films, we're gonna have to import. And I don't know about you, but if I'm to the trouble of importing, I want some extras and no forced subs. And I know extras and Woody Allen don't generally go together, but today we're in luck. We actually have a couple options, but I went with the Italian blu from Medusa. 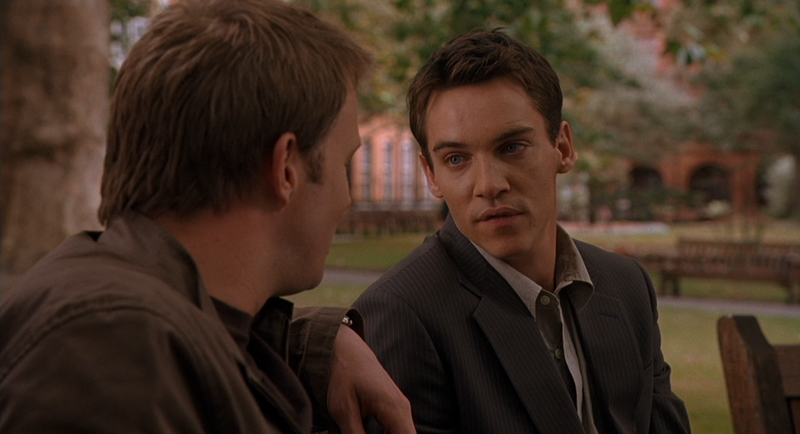 In 2005's Match Point, Jonathan Rhys Meyers (Velvet Goldmine) is a lower class tennis trainer in London, who catches the attention of a very wealthy family. It's not long before he's marrying his way into their family, by way of Emily Mortimer, and he seems to be set for life. They all love him, they've set him up with an incredible career and Mortimer wants to have a baby. But he's not the family darling long before he meets an American actress, Scarlet Johansson, who's dating another member of the family, and he can't resist the temptation of an illicit affair. But when he ultimately becomes too involved to both parties, how far will he go to hang onto his new, gilded way of life? 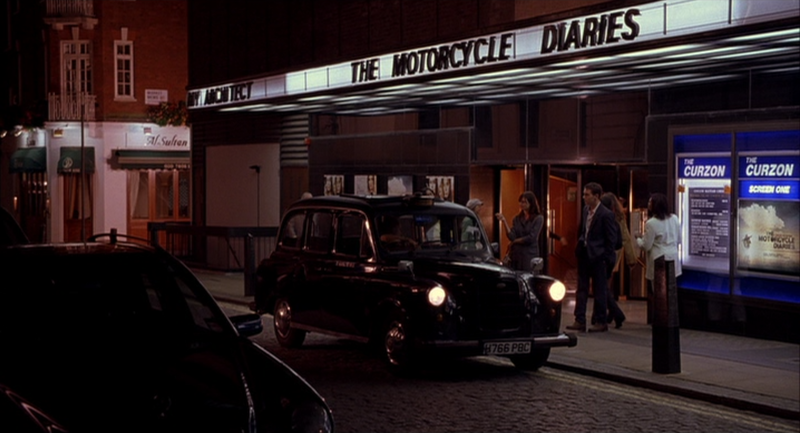 When I first saw this film, I liked it well enough. Attractively shot, well acted, an involving story with a particularly effective ending. But I sort of felt like we'd covered this ground before with Crimes and Misdemeanors, and that's a masterpiece, leaving this as kind of pointlessly redundant and inferior. I was surprised it was treated as a sort of comeback for Allen by critics and audiences. I'd actually gotten more out of last couple maligned comedies. This and Cassandra's Dream just felt to me like Allen was proving he could direct more popular mainstream work if he chose - which he successfully did - than make another great film. Like I said, Allen like's you to be in on his influences. 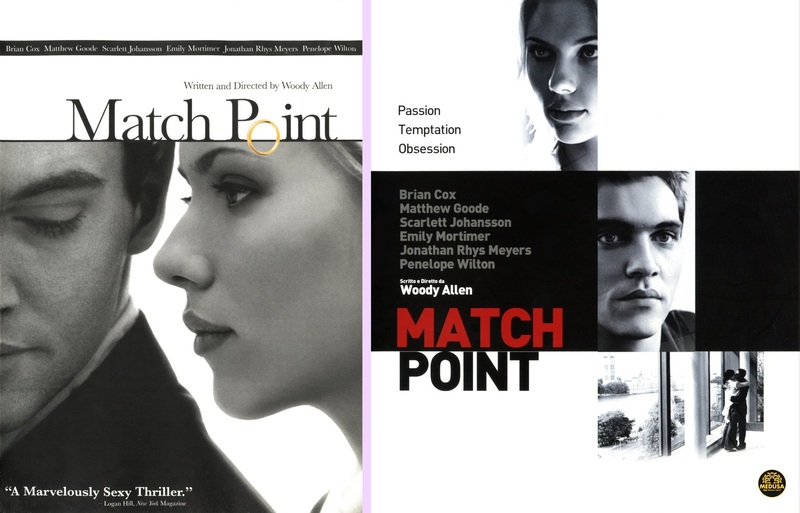 So, like I said, Match Point has never been released on blu-ray in America, but it was released on DVD back when it was a new release back in 2006. I've got that one, so we can look at that for a comparison. 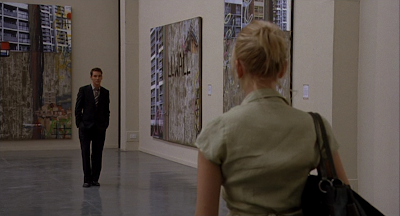 Match Point did come out on blu in France, but it has forced French subtitles, so I wouldn't recommend that one unless you're a native French speaker. But over the years, it's slowly popped up in other countries, with a few, light extras and unforced subs: Australia, Germany, Japan. The most recent is Medusa's Italian blu-ray, which came out in 2013. Universal 2006 DVD on top; Medusa 2013 blu-ray below. So, unsurprisingly, it's the same master. Framing, colors, all that's basically identical. Unfortunately, that means there's still some edge enhancement (look around the edges of Meyers' suit in the museum) that you probably wouldn't find being employed in a new master. I suppose I held out a sliver of hope that a newer blu meant a new master, but it's no surprise everyone's licensing and using the same one made back in '06. And it's not like it's terrible or anything; just a little below the most modern standards. It's still a nice HD upgrade; it's not like it's an upscale... is it? Universal 2006 DVD left; Medusa 2013 blu-ray right. No, whew! Look at that. Resolution is much better on the blu, with small detail looking like a blurry mess in comparison. I mean, the DVD is fine by DVD standards; there's no interlacing or other issues. But the blu-ray definitely reaps all the benefits of its higher definition, which is all I can ask for. Oh, and uncompressed sound, which it also has. Both the original English and Italian dub are LPCM 2.0. And if you want Italian subtitles, they're here, too; but they're optional/ removable. So, okay, let's talk extras. Again, it's Woody Allen, so set your expectations low. The US DVD has nothing, not even the trailer. Just a bonus trailer for Munich; which plays on start-up. Blah. Medusa's blu does have the trailer, so we're already ahead. But don't worry, I haven't set my expectations that low. Medusa's blu also includes a nice, 17 minute featurette called Crime Without Punishment. They basically take your basic EPK interviews with Woody Allen, Scarlet Johannson and Jonathan Rhys Meyers and turn them into one piece. But hey, that's a lot better than the nothing we get here in the USA. And someone's clearly taken the time to inter-cut the interviews, and add in behind the scenes photos and clips from the film to make it a little nicer watch, which I appreciate. The featurette does have burnt in Italian subtitles, and they use the Italian dub for the clips, but that's fine. The dub actually makes it slightly more interesting assuming you've just watched the film before switching to the featurette. It's also got interlacing problems, but for an extra it's fine. The interviews are good, especially Woody's, and that's all that matters. The German, French and Japanese blus also have brief featurettes/ interviews, all of which are short and presumably based on the same EPK. The Italian one is probably the strongest single piece, since it edits different elements together into a more original featurette, but it looks like the German blu includes snippets from Mortimer and Matthew Goode, so you could go either way there. The German blu also has a photo gallery, but I'd bet they're mostly the same shots that were edited into Medusa's featurette. The Australian blu doesn't seem to have anything, though. So if you want Match Point on blu-ray, go for it! I can totally vouch for this Medusa disc; it's a proper HD release and a nice little step up from the DVD. And the featurette's a nice touch. Nice write-up John. I love Match Point. 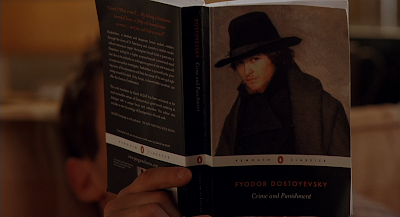 I actually prefer it to Crimes and Misdemeanors, in no small part because Scarlet Johansson looks so amazing. I'll take that over Angelica Houston any ol' day.